We continue our National Women’s History Month takeover with April Nett and Elysa DiMauro of Menagerie Coffee. These two coffee lovers were inspired by “those early morning vibes” and lack of specialty coffee options when they opened their flagship on 3rd st. in 2013. 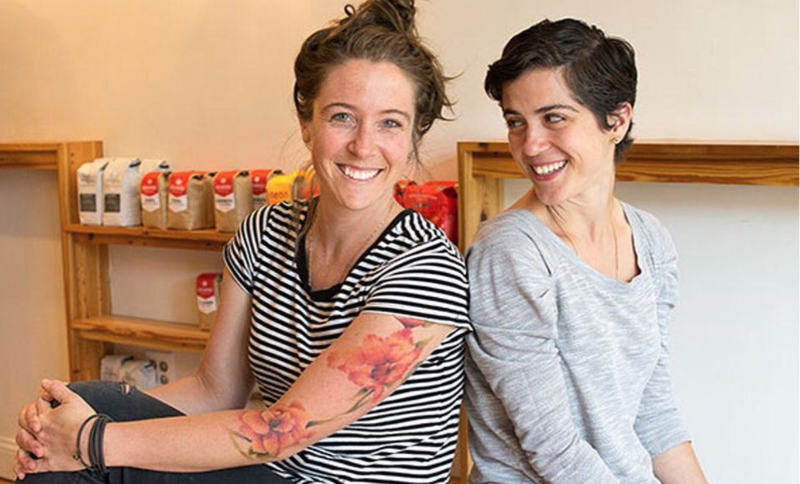 Now, six years later, they’ve added a second location at The Bourse, and there’s no shortage of “third wave coffee” in Old City, thanks to April and Elysa. When they’re not behind the counter at either shop, April enjoys running around Philly or drinking Miller High Life and watching Planet Earth, while Elysa is currently obsessed with yoga. Occasionally, you can catch Elysa hanging out at another coffee shop with a book, sipping on a cappuccino — the ultimate “litmus test” for a good coffee shop. The most rewarding part of the job? The coffee community and the people it attracts. Elysa and April feel privileged to be an essential part of so many people’s days. Start your morning on a high note with April and Elysa at Menagerie Coffee and ask them about their hidden talents. Hint: one of them can ride a unicycle!